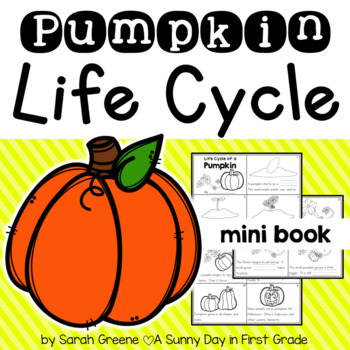 This mini books describes the life cycle of a pumpkin. 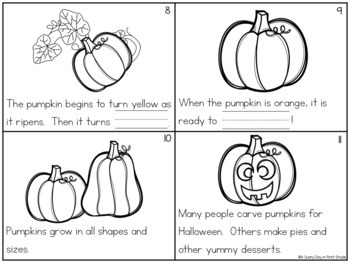 The pages have missing words for your kiddos to fill in! 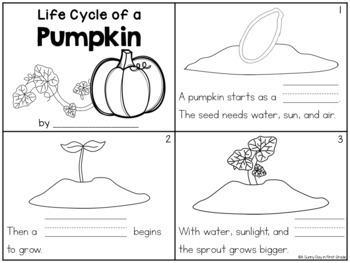 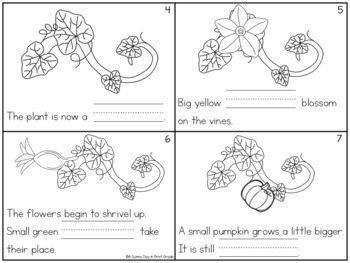 Perfect for introducing the pumpkin life cycle or as a little review!